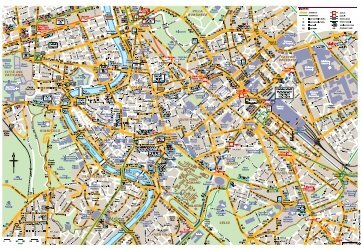 The latest up-to-date Pdf maps for buses, trams, trains and metro lines in Rome (Roma) and suburbs and region can be downloaded from the website of ATAC, the company that runs the public transport network in Rome. There’s a 2MB map for the city centre and an 8MB map for the whole city. Just click on the thumbnail map below and then choose your pdf to download. Airport to city – train, bus or shared taxi? There are fast convenient and budget-friendly shuttle bus and shared taxi services from both airports (or the cruise port) to the centre of Rome and vice versa. These are easier than the train if you have luggage, and take you all the way to your hotel in the centre. In Rome, you can waste hours waiting in line to buy tickets for all the world-famous sites. But there’s an easy solution (See below). Just get a skip-the-line pass before you go. Click the link and choose the one that’s best for you.